Acetate is the most important precursor for methane in the degradation of organic matter. Only two genera of methanogenic archaea, Methanosarcina and Methanothrix (former Methanosaeta), are able to grow with acetate as sole energy and carbon source. Phylogenetically, Methanosarcina and Methanothrix both belong to the Methanosarcinales. These two genera show besides morphological differences, interesting differences in physiology. Methanosarcina is a generalist that can grow on a variety of substrates, while Methanothrix specialized in growth on acetate. The acetate metabolism shows differences in acetate activation and energy conservation. At conditions that are less favorable for acetoclastic methanogens, syntrophic acetate oxidation may occur. This, however, is not further addressed here. 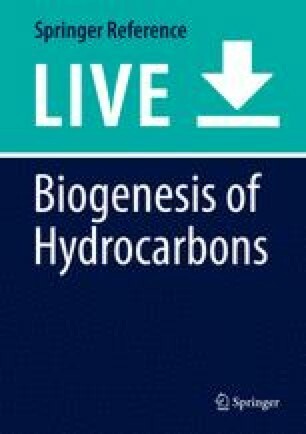 This research was supported by the Soehngen Institute of Anaerobic Microbiology (SIAM) Gravitation grant (024.002.002) of the Netherlands Ministry of Education, Culture and Science and the Netherlands Organisation for Scientific Research (NWO), and by the ERC Advanced Grant Novel Anaerobes (no. 323009).